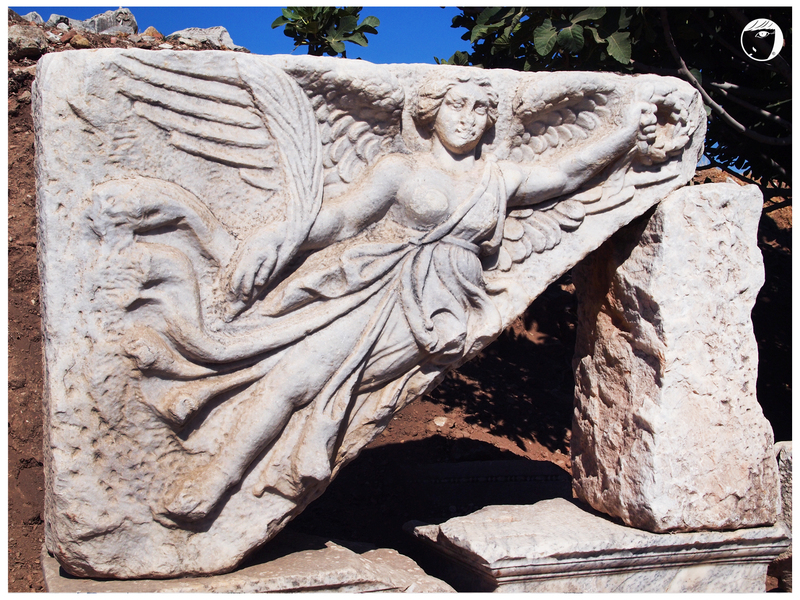 This ancient Greek city is located at Selçuk, Izmir. It was one of the largest cities in the Mediterranean era in the first century BC. Ephesus is also a sacred site for Christians due to its association with several biblical figures, including St. Paul, St. John the Evangelist and the Virgin Mary. The city was famed for the Temple of Artemis (one of the Seven Wonders of the World), but the temple was destroyed because of an attack of the Goths. The city had been rebuilt by Constantine I, but it was destroyed again because of the mob led by St. John. 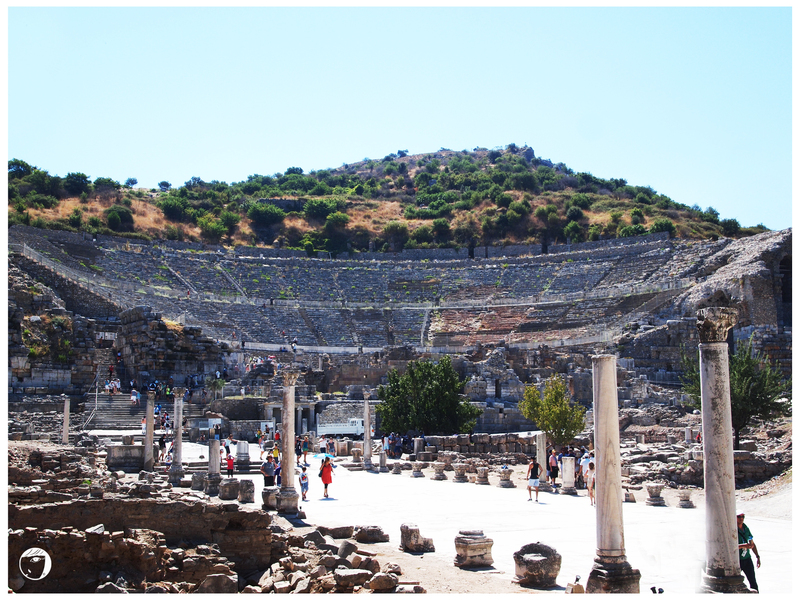 Strolling around in Ephesus brought my imagination of Hercules movie came alive. It is magnificent to see how high the human civilization especially in architectural. The city-remains speak a thousand words itself. It is unbelievable that human during that era, knows how to build a city from marble and stones. One of the most magnificent remains of the city is Celcus Library. 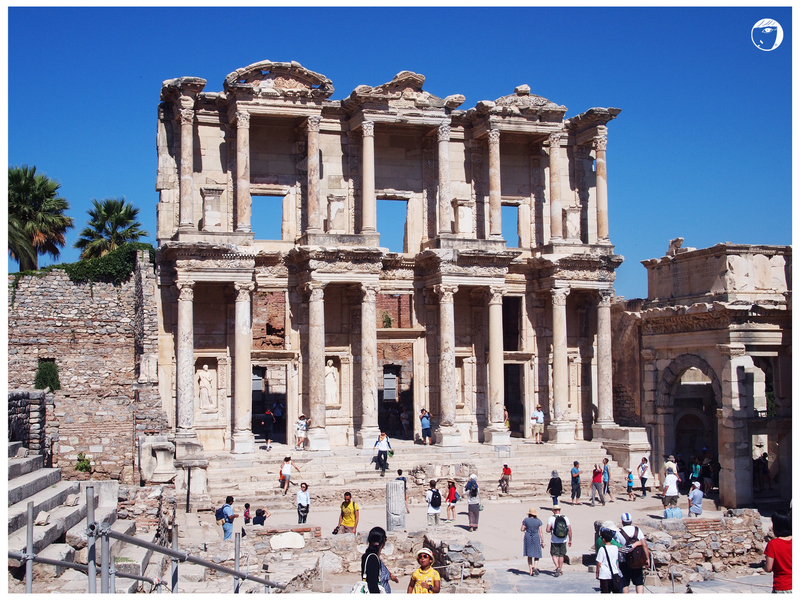 It was the third richest library in ancient times after the Alexandria at Egypt and Pergamum. Ornaments of Greek God and Goddess are carved on the pillars and marble stones. Such as the Hercules on the Hercules Gate, Medusa on the Temple of Hadrian, Apollo, Athena, Nike etc. This magnificent classical theater is the most magnificent structure in Ephesus and considered an important biblical site. This is the place where Paul preached to the pagans in Acts. It is 18 meters high and has the capacity of 25,000 seats. *If you were to visit Ephesus in the summer, I would suggest to bring umbrella or hat. The weather will be very humid and hot.